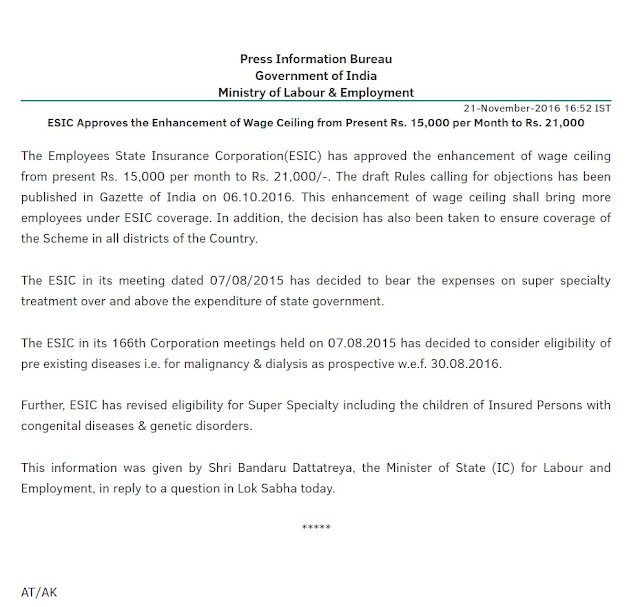 Pls refer to my blog dated September 7 2016 ( http://blog.pcsmgmt.com/2016/09/esic-raises-wage-threshold-to-rs-21000.html where in labour ministry had declared that ESIC Limit will Increases from Rs 15000 to Rs 21000 on 6th Oct 2016 Draft rules were released & 30 days time limit was given for calling for objections & suggestion Yesterday in the Press Information Bureau Ministry of Labour & Employment Shri Bandaru Dattatreya declared that The Employees State Insurance Corporation(ESIC) has approved the enhancement of wage ceiling from present Rs. 15,000 per month to Rs. 21,000/-. “Provided further that if any amount becoming due to a member, as a result of supplementary contributions on account of litigation or default by the establishment or a claim which has been settled but is received back undelivered not attributable to the member, shall not be transferred to the inoperative account.”. From 1st November 2016, EPFO has launched the facility of online submission of life certificate. It is mandatory to submit the digital Life Certificate through jeevan Pramaan System life certificate. The pensioners should carry the Aadhaar Card, Mobile phone, details of PPO and Bank account number for hassle free submission of Digital Life Certificate. In case, the Aadhar details are accurate but they do not match with the details in EPFO database, the Pensioners should forward an application to R.O. Of EPF from where the pension is disburse for change/modification of the concerned data along with the supporting documents like School Leaving Certificate, PAN card, Aadhar Card, Passport, Driving License, etc. From November 11, even these accounts will continue to accrue interest. 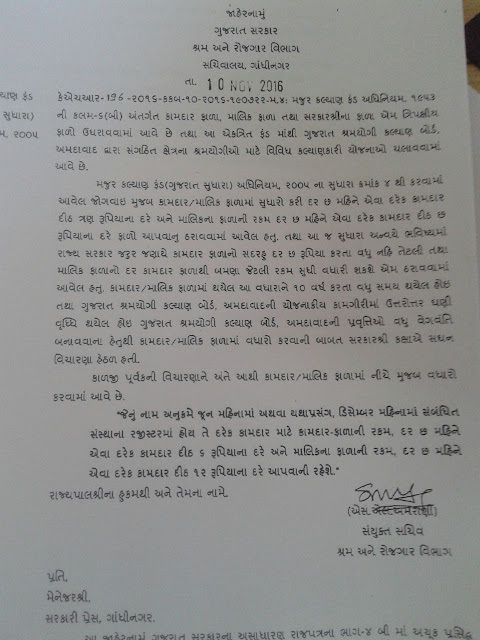 Pls refer to the circular as it was issued in November 2011 Pls see (Old Circular) where in an EPF account was considered inoperative if it was dormant for 36 months or more. Since April 1, 2011, inoperative accounts did not attract any interest. Thus, if an employee resigned and did not take up another job, or failed to transfer his account to the new employment, the funds in an idle EPF account did not earn him any interest.The notification has amended this scenario. The provisions of the EPF scheme are now amended to provide that an EPF account will be considered inoperative only when the employee retires from service at 55 years or migrates abroad permanently , and in both cases does not make an application for withdrawal of the accumulated balance in his EPF account within 36 months. An account will also become inoperative on the death of the account holder. All Death cases must be stamped as "DEATH CASE -TOP PRIORITY"